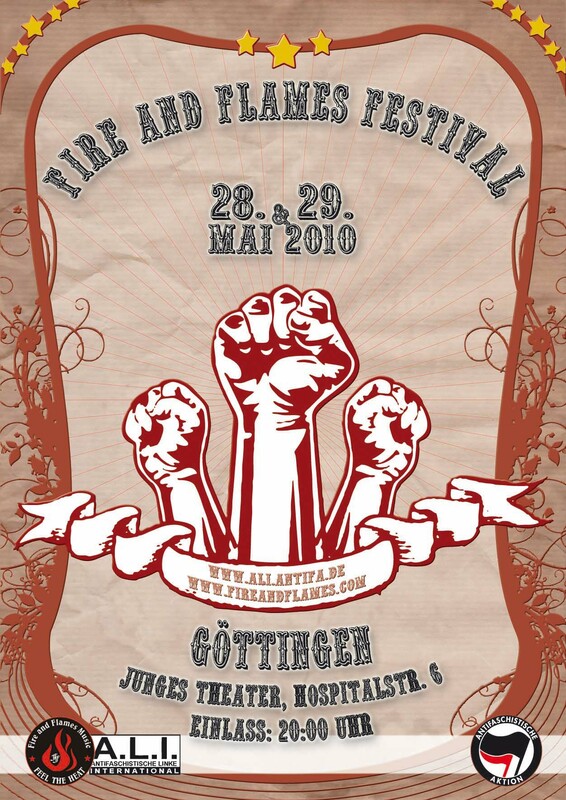 Fire and Flames Festival Göttingen 2010, 28/29.5 – Tickets Online Now! Since the Germans are out driving to the anarchist bookfair in Belgium, Fire and Flames South American division also tries to show that we too contribute to the common good. So…. Doors open on both days at 20:00, and the concert begins at 20:30 sharp!